A young, dynamic, self-motivated and results-focused IT Professional with glittery rich experience in IT Applications Management. Tejasav studied his engineering from Maharshi Dayanand University and proceeded to work in a fast-upscale environment, ensuring a with strong relationship management skill and highly proficient IT solutions with high degree of commercial acumen. Passionate about computer and IT industry move towards global financial service industry was a natural fit for this tech savvy young lad. With More than 9 Yrs. of experience in global financial service industry, Tejasav has successfully gained a vast Technical knowledge by vigorously working hard in the industry. His skills are endorsed by his in-depth knowledge in Project management, Product architectural design, Cloud & Database administration etc. 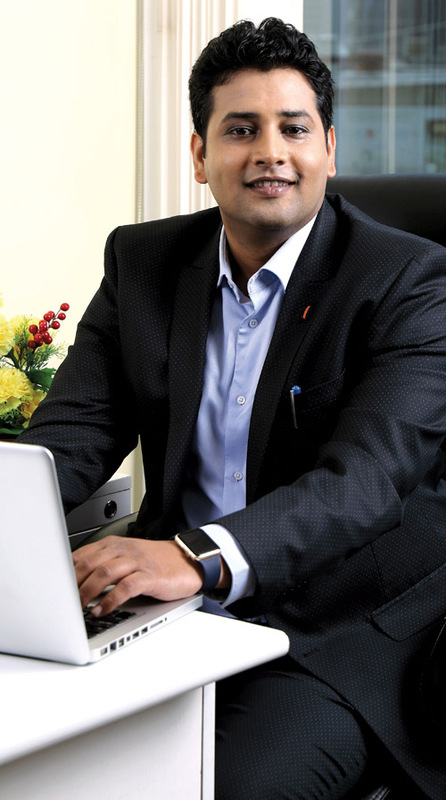 Acting as CTO, Tejasav is accountable for the definition and execution of the overall company strategy, he works to align technology and solutions with business requirements, and to set cost centres and profit targets. He places a continual focus on ecommerce division, advertising and cloud spearheading product development and establishing the entire technology road maps. His strong skills in relationship management helps him to cultivate positive partnerships with existing and potential investors and stakeholders. At present, he is specialising in new age targeted advertising with highly precise contextual data capture, monetising it with user relevant advertising and combining data analytics with it. In his free time Tajasav loves to write, and chill around with his friends. His close friends know him as a very fun-loving and talkative person.